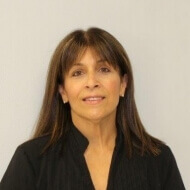 Cindy is a graduate of the Cortiva Institute-Muscular Therapy Institute, located in Watertown, MA. The 900-hour intensive professional training in Muscular Therapy included extensive hands-on practice in the classroom as well as the on-site student therapy center. Upon graduation, Cindy continued her studies, focusing on oncology massage. She holds intensive and advanced training certificates in caring for clients with cancer. Cindy is licensed to practice massage in theCommonwealth of Massachusetts. In addition, she is Nationally Certified in Therapeutic Massage and Bodywork and is a professional member of the American Massage Therapy Association. Cindy combines muscular therapy techniques with client self-care education to ensure the highest quality of health maintenance and pain relief according to the goals and needs of her clients. Clients living with cancer or cancer history are encouraged to contact Cindy; she will work with you and your oncology care team to develop a course of massage therapy that supports your recovery efforts. In 2008, Cindy fulfilled a long-term goal by joining the per diem massage therapy staff at Dana-Farber Cancer Institute’s Leonard P. Zakim Center for Integrative Therapies. In addition, she volunteers at, or participates in, fundraisers, health fairs, workshops and conferences held by organizations focused on oncology care and research.